Generally, if you’re self-employed (sole-proprietor or a partner in a partnership), you need to report your business income on a calendar year basis. However, if your business has a non-calendar fiscal year – one that doesn’t end on December 31 – you’ll need to use form T1139: Reconciliation of Business Income for Tax Purposes to reconcile your business income with the calendar year. If this is the first year of your business operations and you want a non-calendar fiscal year-end, you can elect to do so on form T1139. 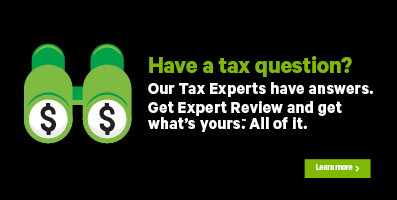 Note: H&R Block’s tax software has made it easy for you to complete the T1139 form by including the relevant fields within the T2125: Statement of Business or Professional Activities page under the EMPLOYMENT icon of the PREPARE tab. Net income (or loss) from the end of your first fiscal period in 2017 to December 31, 2017. For example, let’s say that your fiscal year is from July 1, 2016 to June 30, 2017. You’ll need to prepare an income and expense statement for your business for the period of July 1, 2017 to December 31, 2017 and enter your net income or loss for that period here. Additional business income that was included on your 2016 return. You can find this amount on line G of your 2016 T1139. Keep in mind, you’ll need to complete the T2125 page twice – the first one to report income and expenses for the fiscal year that ends during the year and to indicate that you want to change your year-end date, and a second one for the period that starts after the fiscal year-end date up until December 31. Note: Once you start using a calendar fiscal year (year-end date of December 31), you can’t go back to using a non-calendar fiscal year. How do I calculate additional business income? The amount of additional business income is $33,904.11 [($45,000 - 0) × 275 ÷ 365]. *If these amounts are not known, you can use reasonable estimated amounts.